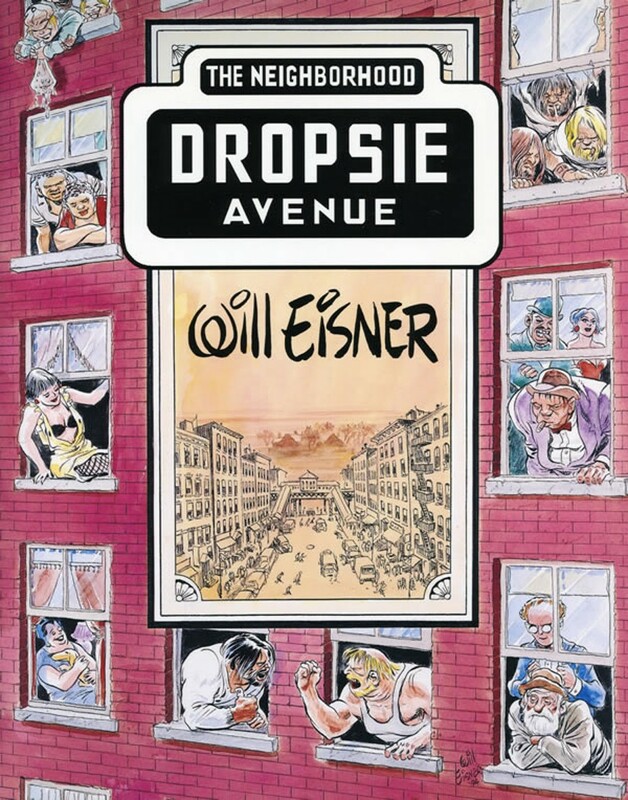 Late in his career, Eisner began writing and drawing graphic novels that are the equivalent of mainstream fiction. One such that I hadn’t come across until recently is DROPSIE AVENUE: THE NEIGHBORHOOD, published in 1995. It may have been intended as the first of a series of similar graphic novels about various locations, but there were never any follow-ups, as far as I know. This one follows the lives of a multitude of people who live along Dropsie Avenue, a fictional street in the South Bronx, from 1870 to 1970. 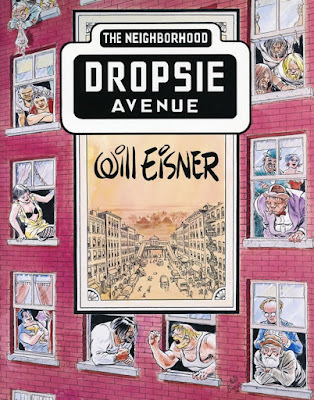 Eisner spins more than a dozen interconnected yarns and numerous side vignettes in the course of the book’s 170 pages, illustrating them with his distinctive art. As always, he’s great at capturing the lives of normal people in all their tragedies and triumphs, and it makes for compelling reading. Having said that, I also have to say that DROPSIE AVENUE: THE NEIGHBORHOOD may be the bleakest, most depressing graphic novel I’ve ever read. It’s an endless parade of murder, depravity, prejudice, corruption, and heartbreak. The first settlers, mostly descended from the Dutch, are upset about the English moving in. The English hate the Irish that follow them. The Irish hate the Germans, who hate the Jews, who hate the Italians, who hate the Puerto Ricans, who . . . You get the idea. With each generation, the old-timers hate the newcomers, and there’s constant conflict, often with young lovers caught in the middle. No doubt all of this is realistic, but it’s not exactly entertaining to read. Nor does Eisner ever make any real point except that people should learn how to get along. I’m recommending the book anyway, because of the sheer quality of the dialogue and to a somewhat lesser extent the art. (I’ve never liked Eisner’s less polished later art as well as his earlier stuff, although I hasten to add, as I have many times before, I’m not really a visual guy and am no expert on art by any stretch of the imagination.) You can’t help but get caught up in the stories he’s telling, and occasionally there’s a glimmer of hope that’s quite satisfying. So if you decide to read this, you may well find it rewarding (I did), but be aware that it’s pretty dark stuff. I'm familiar with Will Eisner but not with his work. It's possible that I have read his cartoons and comics without realising that he drew them. I'm going to have to read up on Eisner.